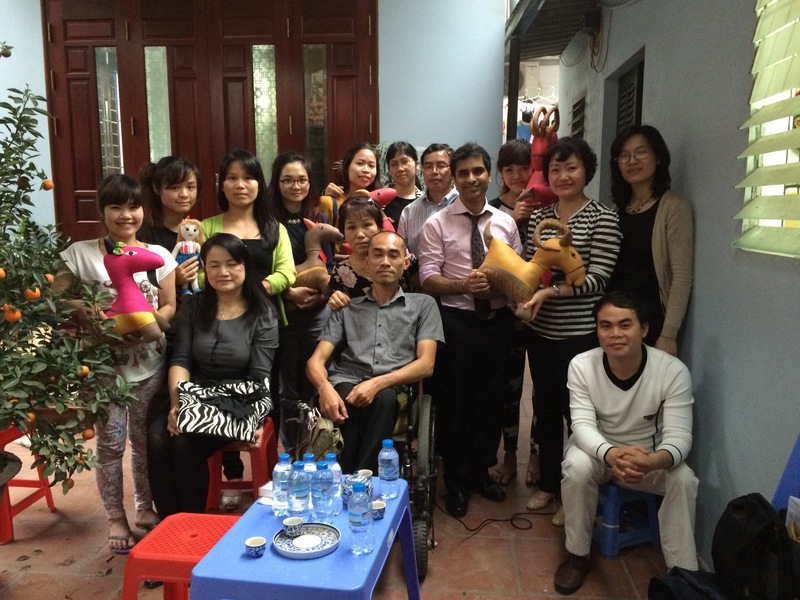 Social entrepreneurship in Vietnam: the virtues of late adoption? In any field there’s always a thrill attached to early adoption. The truth, however, is that early adopters often make the biggest mistakes and being the first mover is not necessarily the best place to be. Think of middle-distance runners; those who set the early pace are not always those who finish strongest. Vietnamese universities are certainly not among Asia’s first to integrate social entrepreneurship into their activities. That’s by no means a bad thing. In fact, the role of organisations such as the British Council, which has been doing a sterling job as an advocate, connector and champion of SE in Vietnam since 2009, can ensure that Vietnamese universities can take their status as late adopters and use it to their advantage by identifying universities models around the world and settling on those which are most appropriate to their needs. As the keynote speaker at a conference organised by the British Council and the National Economics University in Hanoi, it was hugely encouraging to see the appetite for social entrepreneurship among universities in Vietnam. Sometimes universities find themselves under isomorphic pressure to integrate social entrepreneurship; responding to sector trends rather than intrinsic motivations related to the research interests of staff, grass-roots student demand and an alignment between the mission and values of universities and social entrepreneurship. Over the two days of the conference it was clear that the universities involved here were motivated by a mix of mission and student demand. Their was also a desire to improve the employability of students by using social entrepreneurship to boost both innovation and entrepreneurial skills. I also had the opportunity, through the British Council, and along with lecturers from NEU and Thai Nguyen universities, to visit three very different social enterprises. The first was KOTO, (Know One Teach One) one of two restaurants in Vietnam which supports an charitable foundation providing catering skills employment for marginalised youth. Modelled on Jamie Oliver’s 15, KOTO has grown at an astonishing rate since it started in 1999, even if its revenue streams struggle to keep up with the demands of its charitable arm. The second was Sao Maoi (Morning Star) a wonderful school to bring children with autism and other learning difficulties to the point where they can be integrated into mainstream schooling. Sao Mai has been running for 16 years under the leadership of the irrepressible Dr Lan, a qualified psychiatrist who has dedicated her professional life to addressing this particular problem. The third was KyietNam, a start- up social enterprise run by physically disabled including the hearing impaired, who are stigmatised and underemployed in Vietnam (as in much of Asia). Although the three ventures were incomparable in many ways, from their models, to their missions and their maturity, what struck me as a common theme was their commitment to quality. This was both heartening and remarkable, given the fact that some, such as Sao Mai and KyietNam are working under difficult conditions and with uncertainty (particularly in terms of staff retention). There was awareness among the entrepreneurs we met that social enterprises can’t compete on branding alone. Equally, it was evident that this drive for quality drew from their dedication to their particular causes. With growth come challenges. Social entrepreneurship in Vietnam has no doubt received a fillip from the legal recognition of social enterprise (in 2014) but there’s a distance between such recognition and implementation. KyietNam embodied this challenge: though local consumer markets have responded positively to their products, they are unable to access bank credit to expand capacity because they’re legally registered as a for-profit company. It is only when the legal status of social enterprise in Vietnam enables start ups to access loans that legislative pronouncements will mean anything. Perhaps Vietnam also needs to look closer to home for inspiration. Instead of trying to emulate arguably incongruous models in the UK and US, why not look to more established Asian social enterprise economies like Thailand, or even India? Platforms like India’s Milaap for example, which crowdsources individual micro-loans, might be just want Vietnam’s fledgling social enterprise sector needs. Vietnamese universities have a key role here too. To plug gaps in the ecosystem, such as these bridging loans for social enterprises, universities should mobilise their research capacity to identify what the funding needs of the social economy are, what models exist regionally and globally, and what the regulatory barriers to implementation are. The higher education sector, instead of seeking to emulate UK models, might also take a look at what’s happening in the rest of Asia, where university operating models might be more familiar, funding regimes might be similar, and graduate demands might be comparable. One idea would be for the British Council, among other organisations, to support the establishment of a network (and annual conference) for Asian universities working in social innovation (let’s also try it without the eye-watering accreditation fee, for a start). Vietnamese universities might well be late adopters in the global social entrepreneurship scene, but there’s genuine scope to believe that they can have the resources, expertise, and grounded optimism to further grow their social economy and produce graduates with the socially entrepreneurial mindsets and skillsets to propel the country forwards. Indian social enterprise: what should it be for?